In histories of archaeology, A.H.L.F. Pitt-Rivers and W.M.F. Petrie both have very prominent roles. It has long been known that the two were acquainted, leading many to assume that several key aspects of Petrie’s archaeological approaches were adopted directly from Pitt-Rivers. Few histories, however, have critically evaluated Petrie’s early archaeological work in the UK prior to his well-known endeavours in Egypt and Palestine. It is argued in this article that on doing so it becomes clear that the influence of Pitt-Rivers on Petrie has been overstated in the past. Moreover, a brief comparison of their approaches to fieldwork, to publication, to engagement with objects, and their views on museums, demonstrates more contrasts than similarities. In order to begin to evaluate Petrie’s disciplinary development this article considers some of the intellectual networks of late Victorian England as well as the social and economic contexts in which Petrie practised archaeology, which were to shape his methods independently of Pitt-Rivers. When Pitt-Rivers happened upon a young Flinders Petrie surveying the Great Pyramid at Giza, one grey, drizzly February morning in 1881 (see Figure 1), he exclaimed, "we seem to be working in the same line". It is a comment that has particular resonance today for both men are, in western archaeological textbooks at least, mythologized as the founding fathers of the discipline. This is primarily on account of their pioneering advocacy of a methodical approach to fieldwork: Pitt-Rivers is credited with instituting extensive excavation and detailed recording of sites (Lucas, 2001: 19-26), while Petrie is exalted for establishing the importance of pottery sequences (seriation) (Petrie, 1899) and for authoring the first guide to archaeological practice (Petrie, 1904). Both emphasized the value of the ordinary and typical find as the basis for wider archaeological inference (Pitt-Rivers, 1892: ix; Petrie, 1893: 164), and promoted systematic excavation (e.g. Lane Fox [Pitt-Rivers], 1876: 286; Petrie, 1893: 156). That they first met in London (Drower, 1985: 25) and then in Egypt (Burleigh and Clutton-Brock, 1982), corresponded for twenty years and socialized (Drower, 1994) would suggest a significant exchange of ideas and practices. Certainly it has long been assumed that Pitt-Rivers was something of an "idol" of Petrie's (Quirke, 2010: 14) and that it was he who introduced Petrie to "new ideas in archaeological techniques and the importance of careful finds recording of stratigraphy" (Knowlden, 2008: 41). But what was the extent of this influence? How big an impact did the General have on the young Petrie, or indeed vice versa? Fig. 1: Petrie outside the tomb he lived in during his survey of the Great Pyramid, 1881. Courtesy of the Egypt Exploration Society. Pitt-Rivers (see Figure 2) was twenty-six years Petrie's senior and was a figure that Petrie undoubtedly admired. For example, Petrie cited the General's work as a yardstick for archaeological rigour when berating fellow Egyptologist Edouard Naville's lamentable fieldwork efforts: "if you look at Pitt-Rivers' 'Excavations at Bokerley Dyke' you will know what excavating means" (cited in Drower, 1985: 284). However, on further scrutiny of contemporary archives — as well as Petrie's own fieldwork methodologies, his approach to publication, his engagement with material culture, and his views on museums — a somewhat different conclusion can be reached. What emerges characterizes the influence of Pitt-Rivers on Petrie's endeavours as more indirect, with many similarities probably arising out of a shared intellectual milieu and their differences emerging as a result of the contrasting contexts of their field practice. It is these wider social and economic conditions, as well as the topography of intellectual networks at this time, that require examination in order to situate personal factors and particular circumstances within the contexts of Victorian knowledge production. In doing so it possible to challenge the manner in which we often conceive of the history of archaeology as the cumulative growth of knowledge, with a simple linear continuity from one heroic figure to another. Fig. 2: Portrait of Pitt-Rivers in the 1880s. Courtesy of the Pitt Rivers Museum (PRM 2012.33.1). The early development of Lt-Gen. A.H. Lane Fox Pitt-Rivers' approach to field archaeology has already been subject to extensive analysis and is well documented (Chapman, 1989: 23-25; Bowden, 1991). Suffice it to say here that the General is known to have engaged in excavation in Ireland as early as 1862 (Bowden, 1991: 60), although he himself proclaimed that his "very first lessons as an excavator were derived from Canon Greenwell during his well-known and valuable exploration in the Yorkshire Wolds" in 1867 (Pitt-Rivers, 1887: xix). On reviewing Pitt-Rivers' practices, Bowden (1991) observed little in the way of innovative techniques beyond that of his contemporaries. 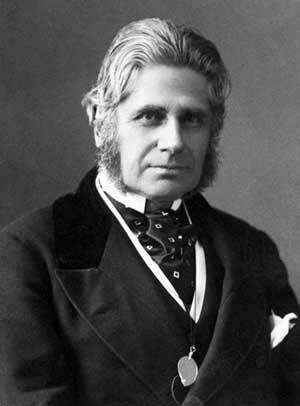 Yet in terms of his influence within Victorian society, what was perhaps more important was Pitt-Rivers' social status, societal connections and dominant personality within the key learned societies of the day (Chapman, 1989). These included the Anthropological Society, the Archaeological Institute, the Society of Antiquaries and the Royal Society, to name but a few. This ensured that Pitt-Rivers was one of the most prominent and vocal individuals in the U.K. actively involved in archaeological fieldwork in the latter part of the nineteenth century. "I abhor all ceremonies and festivities, and all concourses of people; I want to be doing, instead of being and suffering. I would rather do a week's hard work, than assist in a days 'pleasure'." Most of Petrie's days were thus solitary ones, completely devoted at this time to the compilation of charts and mathematical tables for his book on metrology (Petrie, 1877a) and on the production of exact plans of British earthworks, monuments, and churches (Petrie, 1880: Figure 3). This daily, some might say obsessive, numerical compilation of angles, elevations, and levels underscores the methodical manner in which Petrie approached field enquiry even at this early date. As a home-schooled individual, it is perhaps also not surprising that Petrie was so self-sufficient and his Plymouth Brethren lifestyle may also go some way to explain his infamous frugality and his single-mindedness (cf. Petrie, 1914). Consequently, it is not necessary to seek a dominant, outside influence on the inception of Petrie's practices, but rather to qualify the social circumstances that were to validate and give a platform to his work. In this, the learned societies of London and their members were crucial. Fig. 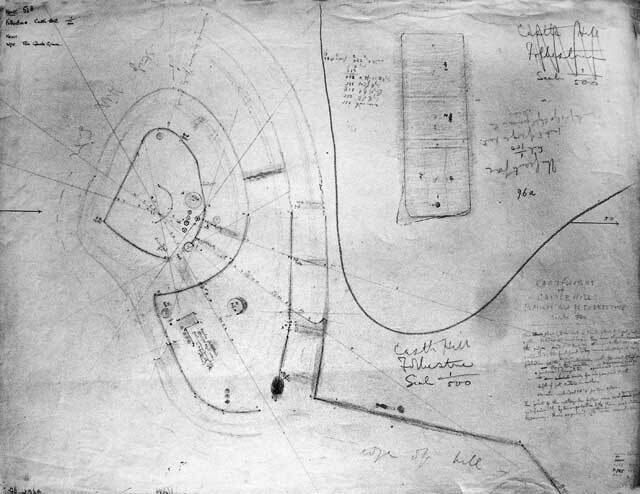 3: Petrie's plan of Castlehill. Courtesy of the Society of Antiquaries of London. "... plotted Lane Fox's Sussex camp section on tracing paper to compare with own; find no differences beyond those of the variations in the ⊕ works" (Petrie's English Journal, 26 May 1877). On the day of his presentation, Friday 1 June 1877, the twenty-three-year old Petrie had an audience of sixty members of the Institute (Petrie, 1877b) and amongst their number was Col. Lane Fox [Pitt-Rivers] himself. It was an experience he related in more detail than was usual for his journal (see Figure 4). Fig. 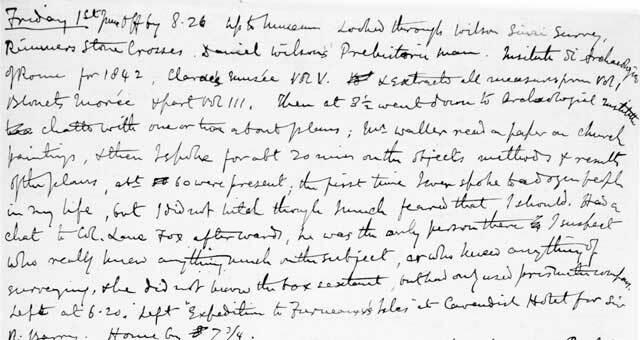 4: Petrie's journal entry for Friday 1 June 1877. Courtesy of the Petrie Museum of Egyptian Archaeology. The following year the influential anthropologist E.B. Tylor invited Petrie to present a similar paper on metrology to the Anthropological Institute, much to Petrie's surprise (Petrie's English Journal, 12 March 1878). So it was that two months later Petrie again found himself in front of some of the pre-eminent intellectuals of the day, including figures such as John Evans who engaged positively with his ideas, and Petrie summed the meeting up as being "altogether very favourable" (Petrie's English Journal, 9 April 1878). He was so encouraged by the experience that he returned to the Anthropological Institute the following week to hear Pitt-Rivers and George Rolleston speak of their archaeological investigations at Sigwell (Rolleston and Lane Fox [Pitt-Rivers], 1879). Notably, it was not Pitt-Rivers who was to make an impression on this occasion, but Rolleston, who according to Petrie's journal "spoke well". Despite the considerable skill in surveying Petrie undoubtedly possessed by this time, having deposited some 130 maps in the British Museum's Map Room by 1880, there are only a few indications that he conducted any form of field-excavation prior to his time in Egypt. He was undoubtedly acquainted with developing approaches from his participation in meetings of the Archaeological Institute (see also Petrie, 1878a, 1878b) and through familiarity with current archaeological literature, including Canon Greenwell's "verbose" (Petrie to Spurrell, 9 January 1880) British Barrows (Greenwell, 1877) and local archaeological proceedings such as produced by Somerset Archaeological Society (Petrie to Spurrell, 10 October 1879). Petrie is also known to have visited some active excavations in England, such as at Cissbury, after Lane Fox's colleague, James Park Harrison, invited him in October 1877. This invitation was not sent with encouragement from Pitt-Rivers, however, but rather from Albert Hartshorne who "told him [Harrison] to write" (Petrie's English Journal, 18 October 1878). Unfortunately, as Petrie's journal goes on to record, adverse weather marred this visit and the two did not meet for several months. On another occasion (12 June 1878), during one of his long walking trails, Petrie steered a course to Caesar's Camp (Castlehill) in Folkestone as he had heard from Spurrell that Pitt-Rivers was working there. Spurrell had, however, been mistaken: the General was at "the Folkestone Camp" that day. Undeterred and intent upon engaging with Pitt-Rivers again, Petrie wrote to him that same weekend, enclosing with his letter his own plan of Castlehill, "in case it may save him some trouble" (Petrie to Spurrell, 15 June 1878). How Pitt-Rivers responded (if at all) is unknown, but he did not include any reference to it in his publication of the site a few years later (Pitt-Rivers, 1883). It was through his close friend Flaxman C.J. Spurrell, not Pitt-Rivers, however, that Petrie was encouraged to actively participate in fieldwork (Caiger, 1971; Scott and Shaw, 2009). Spurrell's own primary interest was the Palaeolithic, although he published relatively little. Nevertheless, reappraisal of his archaeological endeavours has emphasized that the approach he took to investigating the Stone Age was one informed by many progressive concerns, including taphonomy, contextual integrity, technology and ancient cognition (Scott and Shaw, 2009: 62). Petrie often accompanied Spurrell on explorations of the countryside and it was Petrie who Spurrell first asked to act as witness to his discoveries, such as that of flints in situ at Crayford (Petrie's English Journal, 5 March 1881; Spurrell, 1880). Petrie in letter to Spurrell (9 March 1880), however, insisted that Spurrell call upon more expert witnesses to authenticate his discoveries, including Lane Fox, John Evans, Augustus Franks and Edward Tylor, highlighting the important role that these other individuals played in scientifically validating archaeological observations at this time (cf. Gamble and Kruszyinski, 2009: 463). Spurrell invited Petrie to join the Kent Archaeological Society in April 1878 (Petrie's English Journal, 5 April 1878), one of the many local archaeological societies to emerge between the 1840s and 1880s (Levine, 1986: 51). Although Petrie is known to have been dismissive of his colleagues' leisurely exploration of ancient remains, derisively labelling them "luncheon-hunters", it was with members of this organisation that he participated in what might be his earliest excavations. These were at Hayes Common in the summer of 1879 (Knowlden, 2008), in the company of George Clinch (see also Clinch, 1889). In a letter to Spurrell dated 18 June 1879, Petrie describes his involvement in the cutting of several deep trenches into a barrow and the various colours of strata revealed. Petrie related some measurements and drew very rough diagrams, but provided little in the way of interpretation, and seemed disappointed that "nothing was found, not even a flint flake". Nevertheless, Petrie's enthusiasm for excavation is apparent from several of his other letters. In a missive to Spurrell dated 15 November 1880, for instance, Petrie enquired whether his friend had a small pick, shovel or spade handy in case he was "inclined to make a few holes" and if so Petrie proclaimed that "here's your labourer ready". Even his first season in Egypt did not dampen his enthusiasm for fieldwork back home: "so far from Egypt blunting my taste for British remains, I shall come back ravenous for excavation, and general clearing up" (Petrie to Spurrell, 11 February 1881). It seems likely, therefore, that Petrie was involved in other informal excavations of the type often undertaken at this time by local enthusiasts, but for which we currently have little information. In summary, although Pitt-Rivers was one of the most prominent figures in Petrie's immersion in the antiquarian world during the 1870s, and clearly someone that Petrie was keen to emulate and seek validation from, there is no evidence that he directly encouraged or formerly mentored Petrie (contra. Knowlden, 2008: 41). Rather it seems that it was through indirect observation of the activities of others, social interaction within both the London societies and local archaeological field-clubs, but most importantly with the active encouragement of Spurrell that Petrie acquired his first archaeological experiences. Petrie ventured to Egypt for the first time in 1880, at the age of twenty-seven, to undertake his most ambitious survey yet: that of the famous monuments on the Giza plateau (Petrie, 1883). Here Gaston Maspero permitted Petrie to undertake some limited excavation as an "Antiquities Service official" for the museum in order to complete his survey, but it was not until 1883 that he conducted his first excavation for the Egypt Exploration Fund at Tanis (Petrie, 1885). These later foreign endeavours provide better clues as to Petrie's approach to archaeology and these can — together with his approach to publication, engagement with objects and museums — be briefly compared with those of Pitt-Rivers to evaluate any lasting legacy. The following is not intended to be a comprehensive or exhaustive comparison, but merely begins to provide some key points of similarity and contrast as a basis for future scrutiny and deeper contextualization. In the annals of archaeological history it is Pitt-Rivers' seasons of fieldwork on his own estates at Cranborne Chase, particularly at Bokerley Dyke, that are lauded as the point at which he introduced detailed and systematic excavation and recording techniques. As has been observed by Lucas (2001: 20), however, the practical manner in which Pitt-Rivers dug — by first running a trench across areas such as earthworks — was already a convention of the times and a technique employed by other fieldworkers such as Canon Greenwell, approaches that Petrie was also familiar with. Where Pitt-Rivers' work particularly departed from his contemporaries was in creating whole plans of sites with far greater attention to detail (Barrett, Bradley, Bowden and Mead, 1983: 194). The concern for the full plan of a site has also been identified as paramount in Petrie's fieldwork philosophy (Lucas, 2001: 26) and this is clear from his 1904 Methods and Aims in Archaeology. Within the pages of this handbook Petrie outlined the method by which large areas could be schematized using a grid of squares demarcated by a number for each column and a letter for each row (Petrie, 1904: 48-54). Yet Petrie's approach to dealing with an archaeological landscape in this totalizing way may owe more to his experience as a methodical and accurate surveyor than to emulation of Pitt-Rivers' practices. Moreover, unlike Pitt-Rivers, Petrie seemed far less concerned with measuring sections, and representations of these are notably lacking from his reports (Wheeler, 1954: 15; Lucas, 2001: 25). In part this contrast is attributable to the different field contexts in which each worked: Pitt-Rivers worked largely on single monuments in the European (primarily British) landscape, whereas the majority of Petrie's most acclaimed investigations took place in sprawling temple and town sites, or in large cemeteries in the Egyptian desert. Indeed, the very monumental nature of Egyptian remains themselves would have made quite different demands in terms of operational decisions and planning that most likely independently shaped Petrie's attitudes to excavation. Moreover, the sheer quantity of artefacts that were unearthed each season probably encouraged Petrie's creation of corpora and type-sequences (see below). In comparison, British excavations yielded more meagre quantities of finds — as Petrie discovered at Hayes Common — and in their absence, Pitt-Rivers' emphasis upon extensive excavation and the creation of detailed field plans is understandable. These different contexts also constrained the nature of their workforces and thus their working methods and recording practices. Pitt-Rivers' early excavations were relatively small scale, employing only a handful of labourers. For instance, it took seven men two or three days to dig a barrow at Sigwell (Bowden, 1991: 84) and between three and five men to explore hillforts, such as Mount Caburn over the course of two short seasons (Bowden, 1991: 85). For his excavations on his Cranborne Chase estate the General could afford to establish more formal arrangements by employing a series of clerks who oversaw a workforce drawn from his own estates (Bowden, 1991: 104-107). Petrie's teams in Egypt were considerably larger, numbering in the hundreds at some sites, comprised of local Fellahin and Bedouin. Just a year prior to Petrie's first excavations for the Egypt Exploration Fund (EEF) the British had bombarded Alexandria and commenced their occupation of Egypt. Therefore, this was a starkly colonial setting and this framed Petrie's fieldwork philosophy and the nature of the archaeological knowledge that was produced from it (see Quirke, 2010; Schlanger, 2011). More specifically, it can be suggested that it was such colonial access to labour that made it possible to invest in field techniques in a manner that perhaps could not have been realized before and it allowed Petrie to normalize expectations of what constituted proper fieldwork practice, which he outlined in his 1904 manual (see especially "Chapter III: The Labourers"). Therefore, technical methodological decisions related to fieldwork were inextricably linked to the economic and social conditions in which they were practiced. Consequently, their development cannot be narrated as simply ideological or objective advances that were passed from one individual to another. On a final note regarding fieldwork, it is worth mentioning that in addition to Pitt-Rivers' mastery of early excavation, he has also been regarded as pioneer of surface survey and artefact collection (Bowden, 1991: 94). He keenly advanced such approaches in his publications, and notable examples include his work in Oxfordshire (Lane Fox [Pitt-Rivers], 1869) and around Stonehenge (Lane Fox [Pitt-Rivers], 1870). Yet Petrie never seemed to adopt this method of archaeological data collection, despite his life-long enjoyment of walking. "... the illustrations are not ancillary, but the main matter of the reports, the text being a comment on the plates, and of course the printed details in the Relic Tables etc." (Piggott, 1965: 174). This can also characterize Petrie's approach to publishing his sites and he advocated, with reference to writing archaeological reports, that "the arrangement of the plates must precede the writing of the details of the work" (Petrie, 1904: 114). Nevertheless, although the composition of Petrie's published plates is similar to the General's, they were more rudimentary and they were often without accompanying notes as to the context of the objects. Moreover, although Pitt-Rivers employed relic tables from at least 1877 (Bowden, 1991: 85), it would not be until a decade after the General's death that Petrie would begin to include such listings in his own accounts (Petrie, 1913). "I am aware that I have done it in greater detail than has been customary, but my experience as an excavator has led me to think that investigations of this nature are not generally sufficiently searching and that much valuable evidence is lost by omitting to record them carefully" (Pitt-Rivers, 1887: xvi-xvii). "To state every fact about everything found would be useless, as no one could wade through the mass of statements" (Petrie, 1904: 49). "No one will know better than yourself the essential need of trained observers to record the archaeology of Egypt before all the materials for study shall have been removed or destroyed [...] The start of this work is assured by the amount already received; but its utility and results will mainly depend on the support that may yet be given to it." With the costs of publication also having to be borne out of the same limited funding resources, the brevity of reports can, to some extent, be understood. Pitt-Rivers, on the other hand, as a private and wealthy landowner had considerably more time and resources at his disposal. Therefore, while ideologically both men may have shared similar underlying principles of archaeological presentation, these were enacted within very different economic and physical environments. "I am much obliged for your suggestion about models; and as I am giving to clear out an entire fort of the XVIIIth Dynasty we might well have a model of that to enlighten the public, somewhat like the model of Pompeii at Naples." There is, however, no evidence (that the current author is aware of) to indicate that Petrie ever created such a miniature or adopted their use in illustrating his lectures. Objects had a prominent position in Victorian archaeological discourse (see for e.g. Gosden and Larson, 2009: 121-146). They were the focus of evolutionary types, series and sequences, and Pitt-Rivers was arguably the scholar that was most explicit in his promotion of these (Chapman, 1985). In formulating sequence dates for prehistoric Egyptian pottery, Petrie (1899) drew from the same general concepts of artefact sequencing that Pitt-Rivers subscribed to (e.g. Lane Fox [Pitt-Rivers], 1875: 308; Pitt-Rivers, 1891) and he undoubtedly would have concurred with the General's insistence on the value of such ceramics, even when fragmentary (cf. Pitt-Rivers, 1892: x). Specifically, both drew on the notion of "degeneration of form" (e.g. Lane Fox [Pitt-Rivers], 1875), which Pitt-Rivers adopted directly from John Evans' numismatic lineages (see Schlanger, 2010: 358). The General's own view of cultural evolution owed more to Herbert Spencer than to Darwin (cf. Lane Fox [Pitt-Rivers], 1875: 298), the foundation of which was a keenly-held conservative belief in evolutionary gradualism (Chapman, 1985). Such conservatism also characterized Petrie's worldview (Petrie, 1907, 1911; Drower, 1985: 342-343; Quirke, 2010: 14), which ultimately became entangled with his involvement in eugenics (Sheppard, 2010). Petrie never directly referenced Pitt-Rivers in his discussions concerning sequence dating and any influence can only be inferred. It needs to be remembered, however, that the platform for Pitt-Rivers' own views was one that he shared with John Evans and Herbert Spencer in the London societies of which Petrie was also eventually a member. There was thus a common archaeological vernacular that Petrie was immersed within and it is not just Pitt-Rivers that echoes in his writing, but also the language of Evans, Spencer and Tylor. More broadly, typology and chronology were prominent within wider European archaeological discourses, and Petrie's chronological work in the 1890s was contemporary with that of Oscar Montelius, which he is very likely to have been familiar with. Cultural evolutionism also carried with it questions concerning race, building upon an already existing and widespread Victorian preoccupation with the collection and study of human crania (Nowak-Kemp and Galanakis, 2012: 89-90). Correspondingly, it is unsurprising that amongst the plates that accompanied many of Petrie and Pitt-Rivers' publications were profiles of skulls, together with tables of craniological measurements. Petrie in particular undertook quite detailed and focussed racial studies (e.g. Petrie, 1887) and Pitt-Rivers displayed a series of human skulls as part of his Bethnal Green Museum exhibits in Kensington in the 1870s. For both men, however, their interest in this subject was influenced quite separately by work being undertaken by their close colleagues. In Petrie's case this was Francis Galton and Karl Pearson (Sheppard, 2010), while for Pitt-Rivers it was primarily his friend and excavation partner, George Rolleston (Nowak-Kemp and Galanakis, 2012). An area in which Pitt-Rivers and Petrie certainly departed was in their use of experimental techniques as a methodology for gaining insight into ancient production. Pitt-Rivers' practical experiments, in particular, have been ranked amongst his greatest achievements (Coles, 1979: 17-19; Bowden, 1991: 94, 158). Petrie was also sympathetic to experimental engagement with material and an early paper he gave to the Anthropological Institute (Petrie, 1884) is noted as one of the first attempts to understand hard stone quarrying "in a rational and objective manner" (Coles, 1979: 19). Yet it was not an approach Petrie rigorously or regularly employed: his 1917 volume on Tools and Weapons, for instance, remained largely descriptive, with functional inferences based on visual examination only. Both Pitt-Rivers and Petrie have university museums in the U.K. that bear their names and collections: the Pitt Rivers Museum at the University of Oxford, and the Petrie Museum of Egyptian Archaeology, at University College London (UCL). Both have retained a style of exhibit that evokes a Victorian aesthetic sensibility, despite decades of adjustment that have in many cases erased (although never completely) the strong principles of display that each were founded upon. Petrie certainly visited Pitt-Rivers' Kensington displays on at least one occasion (Petrie's English Journal, 14 September 1883) and his later museum at Farnham (Drower, 1994), but did not record what his impressions of these exhibits were. "Our Museums are ghastly charnel-houses of murdered evidence; the dry bones of objects are there, bare of all the facts of grouping locality, and dating which would give them historical life and value" (Petrie, 1904: 48). Pitt-Rivers, in contrast, can be characterized as a staunchly empirical anthropologist, more interested in the relationships of objects to each other than their original context (van Keuren, 1984). Neither institution, however, embodies the much grander aspirations Pitt-Rivers and Petrie separately held for future British museums and they each advocated investment in new museum structures, although the rationale behind their ideas differed. For Pitt-Rivers, a museum should founded on the principle that "knowledge can be taught by museums, provided they are arranged in such a manner that those who run may read" (Pitt-Rivers, 1891: 115-116). Thus for him the primary reason for providing access to his collections in Oxford was for display and education (Bowden, 1991: 141). He hoped to achieve this in the form of a "rotunda" in which "the position of each phase of art development shows itself at once by its distance from the centre of the space, and the collateral branches would be arranged to merge into each other according to their geographical positions" (Pitt-Rivers, 1888). Petrie, on the other hand, placed greater emphasis on the role of museums in the sustainable preservation of material culture, in the form of a warehouse (Petrie, 1900). Pitt-Rivers' and Petrie's plans have never been realised. The encounter between Petrie and Pitt-Rivers in the shadow of the Great Pyramid one hundred and thirty years ago was fortuitous. Such a chance meeting makes a considerable impression on the modern reader, but like the pyramid itself we miss the wood for the trees if we focus only on monumental icons. The relationship between Petrie and Pitt-Rivers has undoubtedly been overstated in the past, in a large measure through the repetition of standard narratives of archaeological histories. Though the biographies of these two "great men" intersect, it clear that gaps remain in the narrative. This is particularly the case for Petrie's early activities in which there existed a far larger cast of individuals who helped further his own ideals and provided him with his first opportunities to share them. By the time they first met in June 1877 Pitt-Rivers was a well-established and prominent figure in a wider circle of Victorian intellectuals who had begun to shape archaeological and anthropological practice in Britain. Petrie's regard for the General's work, such as his praise for the Bokerley Dyke methodology, might therefore simply be of a more generic sort with General a respected figure who held similar principles and had set a precedent that Petrie could appeal to. Petrie was also a member of the London institutions in which such men convened (Chapman, 1989) and this setting provided a disciplinary structure and a network of like-minded individuals in which Petrie's work was socialized. In the field, however, it was the less-well known local antiquarians with whom he experienced excavation. The most important of these was undoubtedly F.C.J. Spurrell, who he in fact met at that very same meeting of the Archaeological Institute in June 1877 where he first met Pitt-Rivers. Of the two men, it was "the quiet man of Kent", not the commanding figure of the General, who seems to have been the more important mentor, supporter, and friend of the then young and relatively unknown Petrie. As Petrie's career developed, he came to practise archaeology in very different social, economic and environmental contexts from Pitt-Rivers. Thus although Petrie was clearly familiar with Pitt-Rivers' excavation methodologies and sites, the contexts Petrie encountered in Egypt and Palestine — sprawling towns, tumbled temple ruins, imposing tells, but more often than not, large pockmarked cemetery landscapes — were of a very different character to those Pitt-Rivers explored. For these Petrie implemented his own approach, shaped as much by trial and error within a colonial setting as by the exacting ideals of the surveyor. These contexts independently affected their methods and helped shaped their perceptions of how to access, construct and present the past, as evidenced by their contrasting attitudes to fieldwork, publication, material engagement, and museum display. Pitt-Rivers died on 4 May 1900. Although Petrie was to live for another forty-two years, and was active in the field for several more decades, it is perhaps notable that his greatest intellectual contributions were also largely achieved by the turn of the century (Gertzen, 2008). Thus both men were integrally a part of the intellectual currents of the Victorian era and it is this wider canvas that deserves further qualification in future studies. I am grateful to Jeremy Coote and Alison Petch for inviting me to contribute to "The Many Faces of General Pitt-Rivers" workshop held at the Pitt Rivers Museum in March 2011, at which the question of the General's impact on Petrie's work was raised and which motivated me to write this article. Thanks are also due to Stephen Quirke, Tracy Golding, and Debbie Challis for their assistance in accessing Petrie's journals. I have also benefitted from discussions with Rachel Mairs and Thomas Gertzen about Petrie's early life. I am further indebted to Alison Petch and Alison Roberts for reading and providing very helpful comments on an earlier draft of this paper. 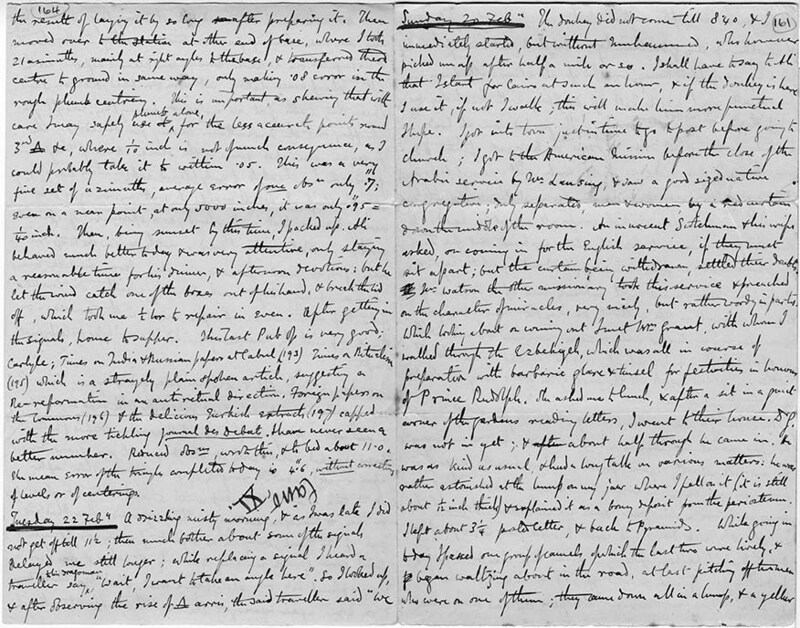 1 Griffith Institute, University of Oxford, "Petrie's Diary", in Griffith Archive <http://www.griffith.ox.ac.uk/gri/gif-files/Petrie_1880to1_161and164.jpg> and <http://www.griffith.ox.ac.uk/gri/gif-files/Petrie_ 1880to1_165and168.jpg> [accessed 27 April 2012]. For an account of the encounter see also Burleigh and Clutton-Brock, 1982 and Bowden, 1991: 93. For an overview of Pitt-Rivers' trip to Egypt in 1881 see Stevenson, 2011. 2 In the Salisbury and South Wiltshire Museum's Pitt-Rivers correspondence archive are seven short letters (L524, L971, L1095, L1124, L1331, L1377, L1677) written to Pitt-Rivers from Petrie, dating between July 1888 and October 1896. The brevity and formality of communications in itself underscores the nature of the relationship between these two men, with Petrie clearly respecting the General as an intellectual colleague rather than close acquaintance. For a list of the letters held within the Pitt-Rivers archive at the Salisbury and South Wiltshire Museum see Thompson, M.W. 1976 Catalogue of the correspondence and papers of Augustus Henry Lane Fox Pitt-Rivers (1827-1900), Royal Commission on Historical MSS List 76/75. 3 Pitt-Rivers was born Augustus Henry Lane Fox on 14 April 1827; Petrie was born William Matthew Flinders Petrie on 3 June 1853. Lane Fox adopted the Pitt-Rivers surname on inheriting the Rushmore Estate in 1880. 4 For a full list see <http://web.prm.ox.ac.uk/rpr/index.php/pitt-rivers-life/123-clubs-a-societies> [accessed 27 April 2012]. 6 Letter from Petrie to Spurrell, 7 July 1879. A copy of the letter is now in the Petrie Museum, but the original is held in Norwich Castle Museum. All further references in this paper to correspondence between Flaxman and Petrie come from the archives of the Petrie Museum, although those from Petrie to Spurrell are all copies of the originals held in Norwich. 7 There is a letter from E.B. Tylor to John Evans dated 14 March 1878, in the John Evans archive, Ashmolean Museum [JE/B/1/17 1878], that advises that Petrie was interested in giving such a presentation. 8 According to The Archaeological Journal vol. XXXVII: 426. These were later transferred to the British Library, where they are currently accessioned into the manuscript collections. MS ADD. 31.333 (scale 1:500). The Library of the Society of Antiquaries of London also holds some of Petrie's draft manuscript plans with the field measurements noted on them (see Knowlden, 2008). 9 Harrison had assisted Pitt-Rivers' first exploration of Cissbury in 1875 (Bowden, 1991: 77-81) and it seems that although Pitt-Rivers' was not present during Harrison's 1877 investigations at Cissbury, he was still viewed as the lead excavator. See <http://england.prm.ox.ac.uk/englishness-Pitt-Rivers-Cissbury-Sussex.html> [accessed 25 April 2012]. 10 He is probably referring to Ranscombe Camp (see Pitt-Rivers, 1881). 11 The whereabouts of this letter are unknown, and it is not amongst Pitt-Rivers' papers in the Salisbury and Wiltshire Museum, as these all largely post-date 1880. 12 Petrie to Pitt-Rivers, 8 December 1894. Letter L1124 Salisbury and Wiltshire Museum. 13 Petrie to Pitt-Rivers, 3 November 1894. Letter L1095, Salisbury and Wiltshire Museum. 14 There is no archival evidence, that I am aware of, attesting to direct correspondence between Petrie and Montelius. At around the same time Petrie was formulating his sequence dates in 1899, however, Montelius was preparing for lectures on "prehistoric chronology" to be held at University College London the following year, which Petrie certainly attended and the two interacted directly on this occasion (Montelius, 1899). 15 See <http://web.prm.ox.ac.uk/rpr/index.php/article-index/12-articles/361-human-skull-series> [accessed 12 June 2012]. 16 A detailed examination of Petrie and Pitt-Rivers' approaches to racial theory have not been considered here, partly due to constraints of the scope and length of this paper, but also because far more thorough scholarship on the topic is currently being undertaken by colleagues (e.g. Debbie Challis on Petrie, (pers. comm.) and Malgosia Nowak-Kemp on Pitt-Rivers and Rolleston, (pers. comm.)). 17 This was part of the Leverhulme funded project Rethinking Pitt-Rivers: Analyzing the activities of a nineteenth-century collector. See <http://web.prm.ox.ac.uk/rpr/> [accessed 27 April 2012]. Barrett, J, R Bradley, M Bowden and B Mead 1983 South Lodge after Pitt Rivers. Antiquity 57: 193-204, <http://antiquity.ac.uk/ant/057/Ant0570193.htm>. Bowden, M 1991 Pitt Rivers: The Life and Archaeological Work of Lieutenant-General Augustus Henry Lane Fox Pitt Rivers, DCL, FRS, FSA. Cambridge: Cambridge University Press. Burleigh, R and J Clutton-Brock 1982 Pitt Rivers and Petrie in Egypt. Antiquity 56: 208-209, <http://antiquity.ac.uk/ant/056/Ant0560203.htm>. Caiger, N D 1971 F.C.J. Spurrell, Kentish Antiquary and Archaeologist. Bexley: Bexley Antiquarian Society. Carver, M 1990 Digging for Data: Archaeological Approaches to Data Definition, Acquisition and Analysis. In Francovich, R. and D. Manacorda (eds.) Lo scavo archeologico: dalla diagnosi all' edizione, pp. 45-102. Firenze: All'Insegna del Giglio S.A.S. Chapman, W 1985 Arranging Ethnology. A.H.L.F. Pitt Rivers and the Typological Tradition. In Stocking, G.W. (ed.) Objects and Others: Essays on Museums and Material Culture, pp. 15-48. Madison: The University of Wisconsin Press. Chapman, W 1989 The Organizational Context in the History of Archaeology: Pitt Rivers and Other British Archaeologists in the 1860s. Antiquaries Journal 69: 23-42, DOI: http://dx.doi.org/10.1017/S0003581500043390. Clinch, G 1889 Antiquarian Jottings Relating to Bromley, Hayes, Keston, and West Wickham, in Kent. Edinburgh: Turnbull and Spears. Coles, J 1979 Experimental Archaeology. London: Academic Press. 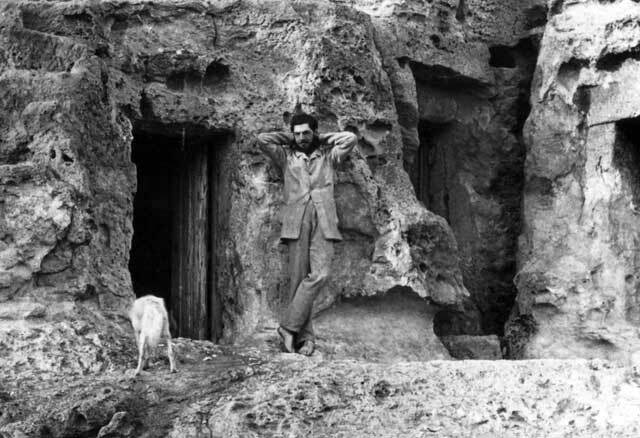 Drower, M S 1985 Flinders Petrie: A Life in Archaeology. London: Victor Gollancz. Drower, M S 1994 A Visit to General Pitt-Rivers. Antiquity 68: 627-630, <http://antiquity.ac.uk/ant/068/Ant0680627.htm>. Evans, C 2004 Modelling Monuments and Excavations. In Chadarevian, S. de and N. Hopwood (eds.) Models: The Third Dimension of Science, pp. 109-137. Stanford: Stanford University Press. Gamble, C and R Kruszyinski 2009 John Evans, Joseph Prestwich and the Stone that Shattered the Time Barrier. Antiquity 83: 461-475, <http://antiquity.ac.uk/ant/083/ant0830461.htm>. Gertzen, T 2008 Methodik und wissenschaftsgeschichtlicher Hintergrund der Arbeiten von Sir W. M. Flinders Petrie (Unpublished M.A. thesis: Freien Universität Berlin). Gosden, C and F Larson 2009 Knowing Things: Exploring the Collections at the Pitt Rivers Museum 1884-1946. Oxford: Oxford University Press. Greenwell, W with G Rolleston 1877 British Barrows: A Record of the Examination of Sepulchral Mounds in Various Parts of England. Oxford: Clarendon Press. Knowlden, P 2008 William Matthew Flinders Petrie: The Kentish Years. Archaeologia Cantiana 128: 35-58. Lane Fox [Pitt-Rivers], A H 1869 On Some Flint Implements Found Associated with Roman Remains in Oxfordshire and the Isle of Thanet. Journal of the Ethnological Society of London 1 (1): 1-12, <http://www.jstor.org/stable/3014386>. Lane Fox [Pitt-Rivers], A H 1870 On the Proposed Exploration of Stonehenge by a Committee of the British Association. Journal of the Ethnological Society of London 2 (1): 1-5, <http://www.jstor.org/stable/3014431>. Lane Fox [Pitt-Rivers], A H 1875 On the Principles of Classification Adopted in the Arrangement of His Anthropological Collection, Now Exhibited in the Bethnal Green Museum. Journal of Anthropological Institute of Great Britain and Ireland 4: 293-308, <http://www.jstor.org/stable/2841234>. Lane Fox [Pitt-Rivers], A H 1876 Opening of the Dyke Road, or Black Burgh Tumulus, Near Brighton. Journal of the Anthropological Institute of Great Britain and Ireland 6: 280-287, <http://www.jstor.org/stable/2841416>. Levine, P 1984 The Amateur and the Professional: Antiquarians, Historians and Archaeologists in Victorian England 1838-1886. Cambridge: Cambridge University Press. Lucas, G 2001 Critical Approaches to Fieldwork: Contemporary and Historical Archaeological Practice. London: Routledge. Montelius, O 1899 Prehistoric Chronology. Journal of the Anthropological Institute of Great Britain and Ireland 3/4: 308-310, <http://www.jstor.org/stable/2843018>. Petrie, W M F 1874 Recent Objections to the Origination of Gentile Measures by the Great Pyramid. Privately published. Petrie, W M F 1877a Inductive Metrology: Or the Recovery of Ancient Measures from the Monuments. London: H Saunders. Petrie, W M F 1877b Remarks on Plans of Earthworks. The Archaeological Journal 34: 448-450. Petrie, W M F 1878a Notes on Ancient Roads. The Archaeological Journal 35: 169-174. Petrie, W M F 1878b Account of a Remarkable Shaft and Subterranean Chamber Lately Discovered in Eltham Park. The Archaeological Journal 35: 179-182. Petrie, W M F 1880 Notes on Kentish Earthworks. Archaeologia Cantiana 13: 8-16. Petrie, W M F 1883 The Pyramids and Temples of Gizeh. London: Field and Taer. Petrie, W M F 1885 Tanis Part I. 1883-1884. London: Egypt Exploration Fund. Petrie, W M F 1887 Racial Photographs from the Egyptian Monuments. London: British Association. Petrie, W M F 1893 Ten Years Digging in Egypt 1881-1891. London: The Religious Tract Society. Petrie, W M F 1899 Sequences in Prehistoric Remains. Journal of the Anthropological Institute of Great Britain Ireland 29: 295-301, <http://www.jstor.org/stable/2843012>. Petrie, W M F 1900 A National Repository for Science and Art. Journal of the Society of Arts May 18, 1900, pp. 525-535. Petrie, W M F 1904 Methods and Aims in Archaeology. London: MacMillan and Co.
Petrie, W M F 1913 Tarkhan I and Memphis V. London: British School of Archaeology in Egypt. Petrie, W M F 1914 Untitled paper. In Scott R. and G.W. Gilmore (eds.) The Church, the People, and the Age, pp. 309-312. New York and London: Funk and Wagnallis Company. Petrie, W M F 1917 Tools and Weapons. London: British School of Archaeology in Egypt. Petrie, W M F 1931 Seventy Years in Archaeology. London: Sampson Low, Marston and Co.
Piazzi-Smyth, C 1864 Our Inheritance in the Great Pyramid. London. Piggott, S 1965 Archaeological Draughtsmanship: Principles and Practice. Part I: Principles and Retrospect. Antiquity 39: 165-176, <http://antiquity.ac.uk/ant/039/Ant0390165.htm>. Pitt-Rivers, A H L F 1881 Excavations at Mount Caburn Camp, Near Lewes, Conducted in 1877 and 1878. Archaeologia 46: 423-495. Pitt-Rivers, A H L F 1883 Excavations at Caesar's Camp, Near Folkestone, Conducted in 1878. Archaeologica 47: 429-465. Pitt-Rivers, A H L F 1887 Excavations in Cranborne Chase, Near Rushmore, on the Borders of Dorset and Wilts. Volume I. Privately published. Pitt-Rivers, A H L F 1888 Address as President of the Anthropological Section of the British Association, Bath, September 6, 1888. Report of the British Association for the Advancement of Science 1888: 825-835. Pitt-Rivers, A H L F 1891 Typological Museums. Journal of the Society of Arts 40: 115-122. Pitt-Rivers, A H L F 1892 Excavations in Cranborne Chase Volume III: Excavations in Bokerley Dyke and Wansdyke Dorset and Wilts 1888-1891. Privately published. Quirke, S 2010 Hidden Hands: Egyptian Workforces in Petrie Excavation Archives, 1880-1924. London: Duckworth. Rolleston, G and A H Lane Fox [Pitt-Rivers] 1879 Report of Excavation of a Twin-Barrow, and a Single Round Barrow at Sigwell (Six Wells), Parish of Compton, Somerset. Journal of the Anthropological Institute of Great Britain and Ireland 8: 185-191, <http://www.jstor.org/stable/2841025>. Schlanger, N 2010 Series in Progress: Antiquities of Nature, Numismatics and Stone Implements in the Emergence of Prehistoric Archaeology. History of Science 48 (3/4): 343-369. Schlanger, N 2011 Review of "Hidden Hands: Egyptian Workforces in Petrie Excavation Archives, 1880-1924". Antiquity 85: 302-303. Scott, B and A Swan 2009 The Quiet Man of Kent: The Contribution of F.C.J. Spurrell to the Early Years of Palaeolithic Archaeology. Lithics 30: 53-64. Sheppard, K 2010 Flinders Petrie and Eugenics. Bulletin of the History of Archaeology 20 (1): 16-29, DOI: http://dx.doi.org/10.5334/bha.20103. Spurrell, F C J 1880 On the Discovery of the Place Where Palaeolithic Implements Were Made at Crayford. Quarterly Journal of the Geological Society 36: 544. Stevenson, A 2011 Pitt-Rivers and Egypt. Rethinking Pitt-Rivers [online] Available at: <http://web.prm.ox.ac.uk/rpr/index.php/article-index/12-articles/495-pitt-rivers-and-egypt> [accessed 23 April 2012]. Van Keuren, D 1984 Museums and Ideology: Augustus Pitt-Rivers, Anthropological Museums and Social Change in Later Victorian Britain. Victorian Studies 28 (1): 171-189, <http://www.jstor.org/stable/3826763>. Wheeler, M 1954 Archaeology from the Earth. Oxford: Clarendon Press. Woolley, L 1953 Spadework in Archaeology. London: Lutterworth Press.